Activists raise alarm about radiation from Japan, but nuclear researchers say their fears are unfounded. The Fukushima Response group organized a "human mural" in October to raise awareness about radiation. Cynthia Papermaster has stopped eating fish from the Pacific Ocean. The Berkeley resident also tries to stay out of the rain, and even leaves her rain boots outside of her house. The reason? She's worried about radioactive fallout from the accident at Fukushima Daiichi Nuclear Power Station following the March 2011 tsunami and earthquake in Japan. "It's all one planet," she said. "The radiation will spread around the world." 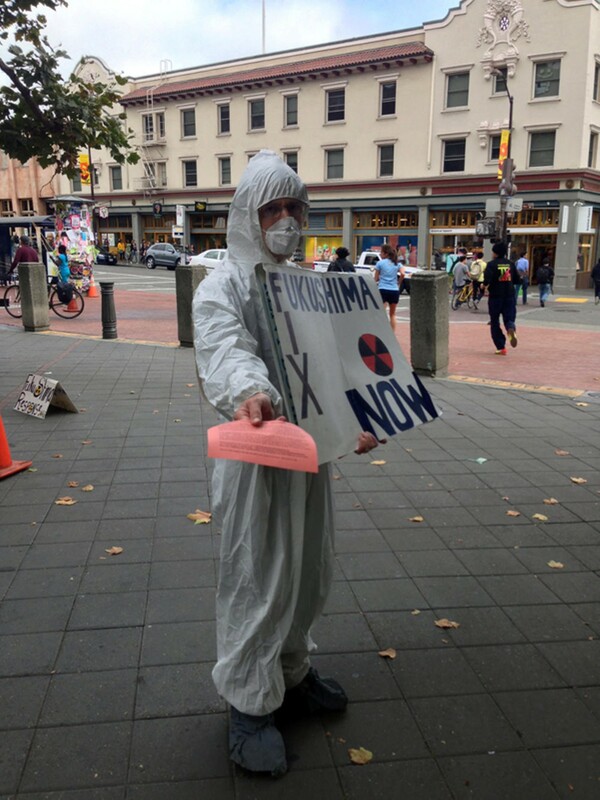 Papermaster, an activist with the Berkeley Fellowship of Unitarian Universalists Social Justice Committee, is part of a larger group of East Bay anti-nuclear advocates who believe that residents on the West Coast are in danger from Fukushima radiation. Meanwhile, blog posts with scary headlines such as "28 Signs That the West Coast Is Being Absolutely Fried With Nuclear Radiation From Fukushima" are being spread via social media. This comes as the debacle at Fukushima is generating a wave of new headlines, largely around the continued leak of radioactive water from the plant and the ongoing efforts by the plant's owner, Tokyo Electric Power Company, known as TEPCO, to remove nuclear fuel rods from the station. 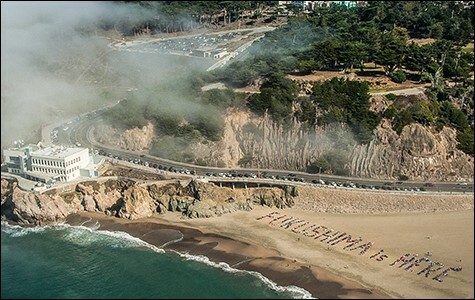 "It's almost too big to contemplate the magnitude of this disaster, and it hasn't gone away," said Papermaster, who recently helped organize a Berkeley town hall forum titled "Fukushima is Here ... Now What?" But scientists at UC Berkeley's Department of Nuclear Engineering who have searched for signs of contamination say there is no legitimate scientific data to back up any of these concerns, and that radioactive levels in the Bay Area aren't worth worrying about. "Nobody is exposed to any dangerous levels of anything," said Edward Morse, professor of nuclear engineering at UC Berkeley. "I haven't seen a single record of anything that would be of concern." At the UC Berkeley Nuclear Engineering Air Monitoring Station, researchers have also failed to detect radioactive isotopes from the Fukushima reactors in a diverse range of tests, including on local salmon, seaweed, milk, seawater, and more. Soy sauce made in Japan and purchased locally also did not reveal radioactive isotopes from Fukushima. Morse has a series of responses he rattles off to those who ask him about Fukushima-related health risks. For example, if an individual were to regularly drink water from the outer harbor around Fukushima for a full year — putting aside the fact that humans do not drink salt water and would not be drinking from a source in the immediate vicinity of the plant — the radiation exposure would be equivalent to that of flying in an airplane for just a few hours, he said. And while naysayers may respond that the comparison of an internal exposure to an external one is unfair, Morse has a follow-up: A single banana naturally contains higher rates of radioactivity than a roughly equivalent amount of that contaminated harbor water. Still, Morse said he has received emails from California residents who are considering leaving the United States because of their fears of Fukushima radiation. He said one man felt pressured by his wife to move to Florida or South America. "I wrote him back saying, 'Unfortunately ... those planes might get you more radiation. If she's really concerned, stop serving her food. Maybe stop sleeping in the same bed with her because people are radioactive.'" In a paper that was recently submitted to the Journal of Environmental Radioactivity and produced by a team at the Lawrence Berkeley National Laboratory, researchers found no evidence of radioactive fallout in fish purchased from markets in Oakland and Berkeley. However, they did detect low levels of cesium-137 in a few samples, which, according to UC Berkeley nuclear engineering professor Eric Norman, who worked on the report, "probably came from atmospheric nuclear weapons testing done in the 1950's – 1970's." A paper that his research group published soon after the Fukushima accident in 2011 found some fallout from the plant in the East Bay, but only at isotope levels that were "very low and pose no health risk to the public," the report stated. Levels of cesium in local fish cited by those concerned with Fukushima are so small that they are meaningless, said Kai Vetter, a nuclear engineering professor at UC Berkeley. "We have cesium everywhere in our environment. ... It's part of our natural radiation." He said that he regularly comes across poorly researched articles making unsubstantiated claims connecting a wide range of health and environmental problems to Fukushima. "The web certainly helps in spreading a lot of fears and concerns. ... It's just remarkable." Thomas McKone, deputy for research programs at the Energy Analysis and Environmental Impacts Department of the Lawrence Berkeley National Laboratory, pointed to a National Geographic article that noted that the 300 tons of contaminated water reportedly leaking from the Fukushima plant each day would, if the rate remained consistent, amount to .00000000014 percent of the total volume of the Pacific Ocean after ten years. "As an environmental health scientist, the radiation from Fukushima is [nowhere] on my list of issues of concern," he wrote in an email. "I cannot imagine a Fukushima release scenario where eating fish from the Pacific would pose a health risk from radiation that in any way competes with the significant health benefits of eating fish." When asked about these dismissals, several activists had the same response: Where are these so-called experts getting their funding? "The nuclear industry is very wealthy and powerful and entrenched," said Carol Wolman, an Oakland psychiatrist who launched a petition to pressure West Coast senators to take action on Fukushima radiation concerns. "There are plenty of experts. ... I prefer to err on the side of caution. The consequences could be so dire." Regarding these kinds of conflict-of-interest allegations, Morse said: "I'm not taking any money from the industry. Not doing anything close to it. I'm as close to an independent opinion as you are going to get." (However, he added that he believes nuclear energy is an important alternative to coal.) Norman's 2011 study received funding from the US Department of Homeland Security and US Department of Energy. Nonetheless, local activists continue to speak out. A group called Fukushima Response, which has several local chapters, has pushed for the United Nations to organize an independent team to assess the ongoing dangers at Fukushima. And this month, some Berkeley residents are pushing the city council to adopt a formal "Resolution to Reduce Fukushima Daiichi Nuclear Dangers," which notes that the radioactive contamination from Fukushima will be carried by the jet stream and "spread by ocean currents to all parts of the world, adversely affecting marine life as well as human populations." It adds, "much greater contamination is likely given that the reactor cores are highly unstable and that the structures and storage tanks are deteriorating." The resolution also calls on the Berkeley Health Services Department to "research and inform the public regarding elevated risk from seafood and other Pacific basin products, and to educate the population of Berkeley regarding specific treatments for radiation exposure and have in place emergency procedures to administer treatment, if necessary, to mitigate radiation exposure." 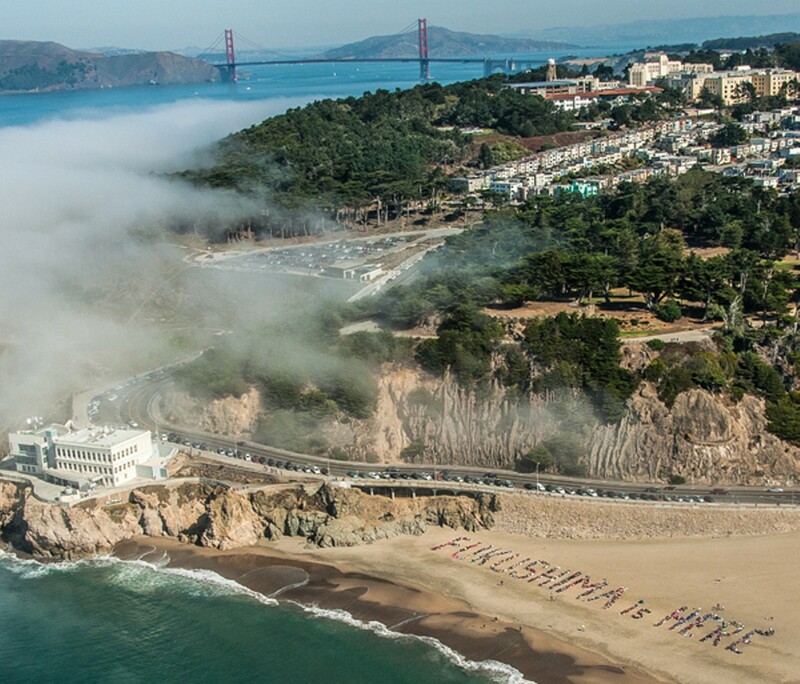 In a recent high-profile action, hundreds of activists met on Ocean Beach in San Francisco to form a human sign that read "Fukushima is here." Phoebe Sorgen, co-founder of the Bay Area Fukushima Response group and a member of Berkeley's Disaster and Fire Safety Commission, said that she seriously considered moving to the southern hemisphere in the weeks after the disaster in Japan. She said she's become obsessed with researching Fukushima radiation, but said that there isn't enough accurate information readily available. "It's hard to assess how bad the risk is," she said, noting that she ultimately decided not to move because she did not want to leave loved ones behind. Plus, she added, "I want to stay and fight."